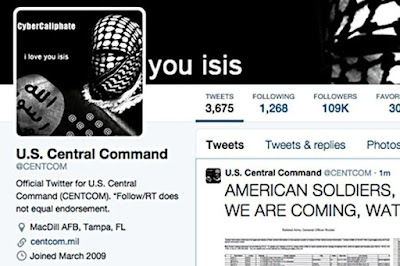 Why terrorism are built into social media material? 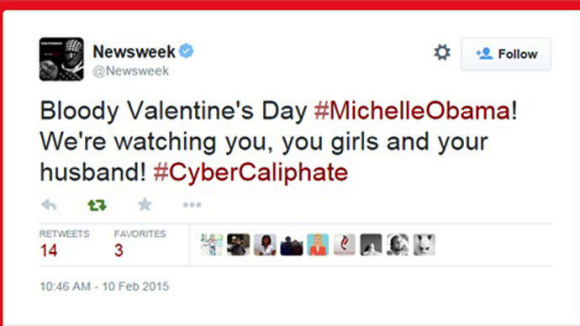 With postmodern technology, the communication of terrorists is not just one-way message, but it gets respond too. This shows that message from terrorists impacts directly on communities (Cole, 2006). In a democratic society, media is really a convenient method for them, as it is cheap and has high accessibility. The wall of media is broke down from institution to individual. New media allowed every average people to communicate and spread message. Compared to the time before new media, objectivity, exclusive, front line, power of influence and creativity had shifted to every internet user. When something happens, people can even live stream the moment on their social media even long before the news reached to media institution. From here, we know that people skipped media and straight headed to social media to join an incident. Now, owning the crowd's attention had became a key to be competitive among media. However, there is something about press media which cannot be replaced by social media, which is content's credibility. Reader or audience will still check with well-known press media if there are rumours spread on something important. Press media realised the benefits of social media in communicating too, so many had incorporated themselves in social media. They gathered information provided by internet users and confirm the reliability of it before they broadcast to public. This is the good example of turning the disadvantage into advantage for themselves. A database company Statista showed that daily time spent on social media of worldwide internet users have a stable increase every year. In 2016, usage of social media has reached 118 minutes per day. Among all the media that is suitable for message disseminating message in worldwide, Facebook has the most number of user which is 1.71 billion, followed by YouTube of over 1 billion users, and Twitter of 320 million users (Smith, 2016). 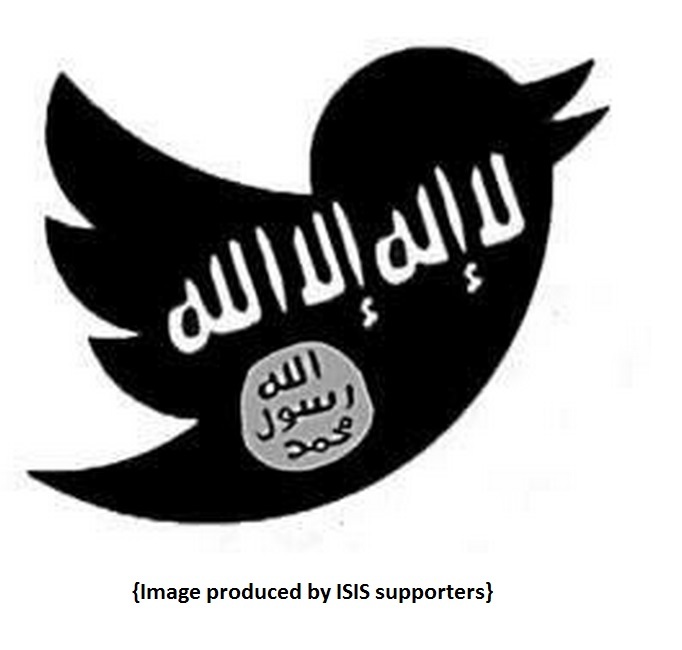 In 2014, there were estimated 46000 Twitter accounts used by ISIS supporters. In order to track down terrorists’ action, U.S. National Counterterrorism Center needs the 1.71 million Facebook users to respond and report the post that is suspicious, therefore social media users share a responsibility in countering terrorism. 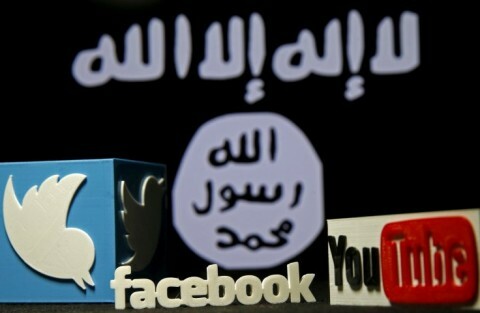 Other than using well known mass media such as Twitter, Facebook and YouTube, ISIS uses dark web to communicate message. They are not visible on search engine just like other 90% of web pages in internet world. 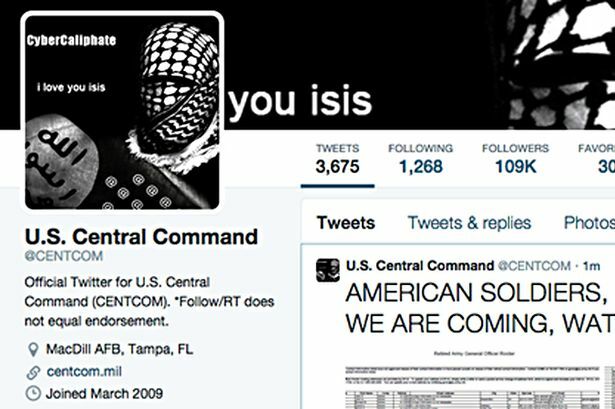 These social media activities generated from different place on earth decentralized the data and make it hard to track the accurate location of ISIS operation. 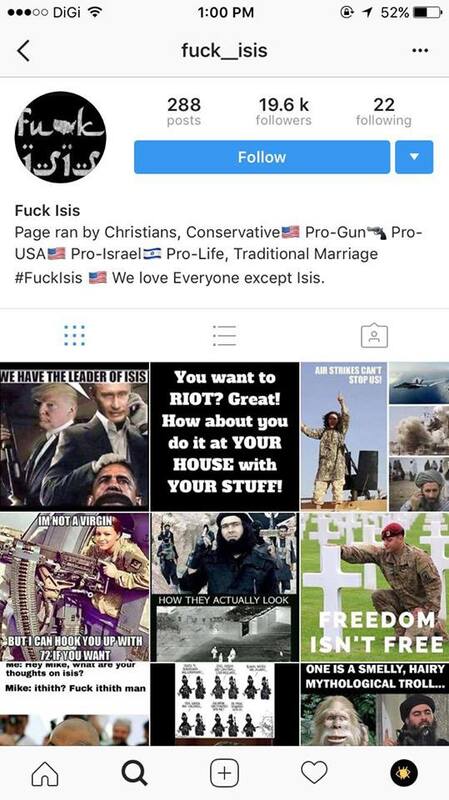 Although the articles I that have read stated it is so easy to access and be in touch with terrorist, I tried to find ISIS account but the only result that I could find is the news suspended their accounts. At last I found that in YouTube, Microsoft and Twitter came to an agreement to share a "fingerprint" central database, in order to help identify and remove terrorists content (Katz, 2016). On February 2016, Twitter announced that they had suspended over 125,000 accounts since mid-2015 (Twitter, 2016), the press described it as the war of Twitter to combat terrorism. It is the incredible amount of accounts that surprised me, although some of the accounts must have working by robots, but action of these social media is totally all right before it became overwhelming. Screen captures of ISIS or their supporter's Tweet that I found on Google Image. Threat in tone and manner, but they must have some other type of tone in communication to different kind of audience. I need to research it further. Meanwhile, there are online accounts that against ISIS too. Haters vs Haters. But their action just fits to what ISIS want, which is catch attention of public and produce hates towards religion. A smart person who really understand and decided to against ISIS will not do this, at least not in this manner which humiliate other religion. It means "Remaining and Expanding", ISIS' slogan. Founded by WilliamMcCants, analyst of Center for Naval Analysis (CNA) at USA. It is an active blog that explain Jihadist movement around the global. It was featured by Wired Magazine, New York Times and Technorati for its political and military studies. Contributed by a group of researchers focusing of extremism. They update news and reviews on these topics. Cole, B. (2006) Conflict, Terrorism and the Media in Asia. New York: Routledge.